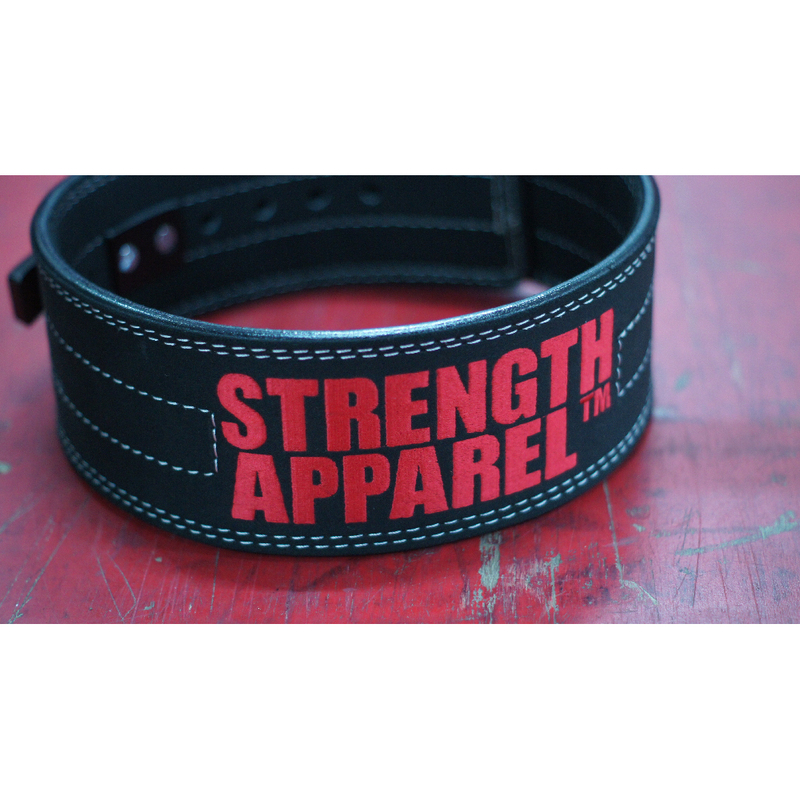 Strength Apparel Matte Black Lever Buckle Lifting Belt – Strength Apparel Co. It took us a while to source for a better quality raw material, craftsmen as well as design. After some hectic time of sourcing, we are proud to announce our very first lever buckle lifting belt. - Chili red brand logo with a smooth embroidery stitching. 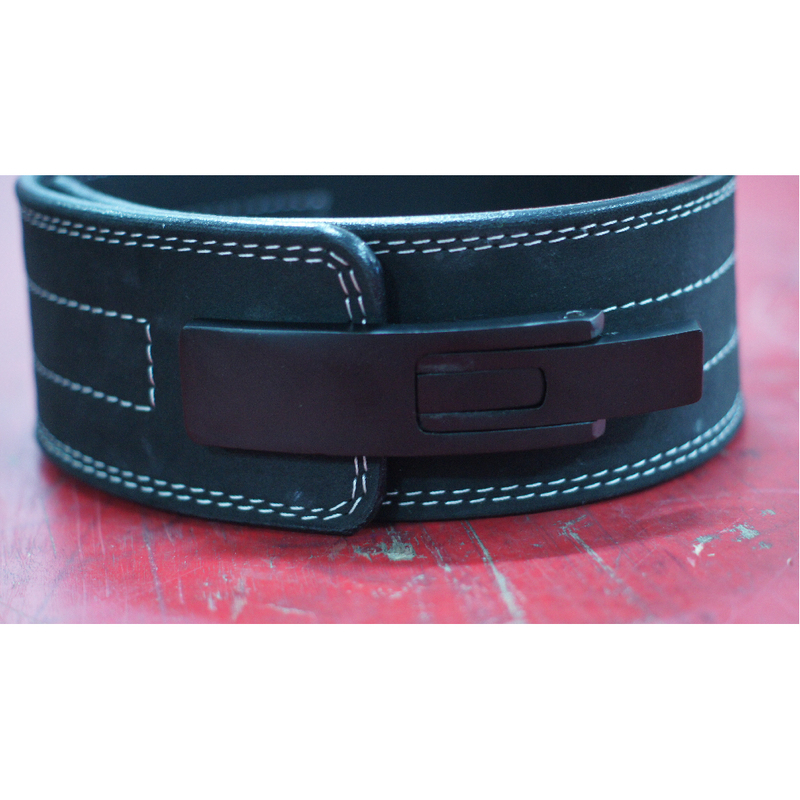 - Pitch black smooth suede belt body with snow white stitching. 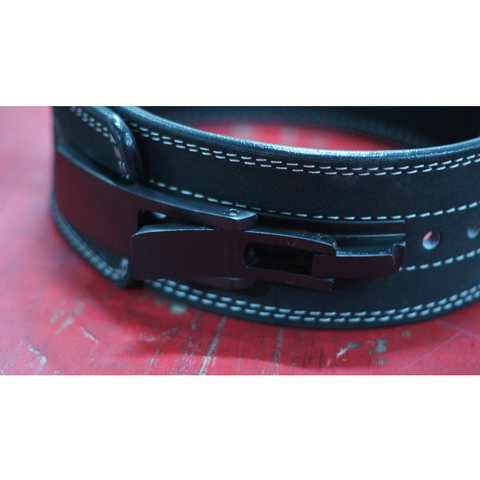 - Matte black finishing lever buckle. 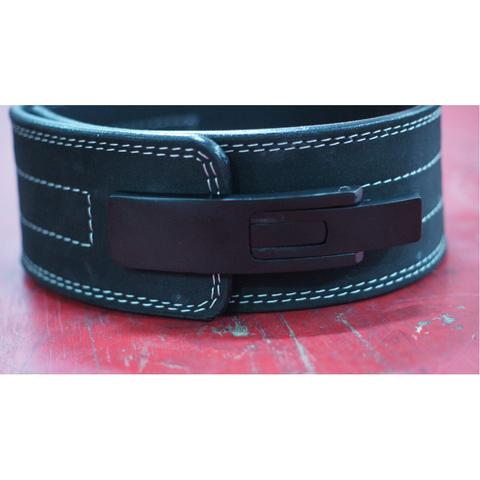 - Edges on the belt body are sealed by a unique blend of adhesive to minimise wear and tear from the brutal and long term usage. - Minimal to almost zero "breaking into" is required due to the integrity of the belt material. - Each product is not 100% identical. Every piece is handcrafted, giving them a unique identity of its own. All lever lifting belts will come with the standard set of 8 holes.